“This is what the term ‘melting pot’ means” I muse to Z. We are in the process of scaling one of San Francisco’s famously steep streets, lines of cars parked perpendicular to the sidewalk, a precarious sight. A gust of wind thrown just the right way would surely send them toppling like dominos to the bottom of the hill. But yet they make sense, all while seemingly defying the laws of gravity. With a couple of tours of this city by the bay under my belt, I’m beginning to think that this is it’s shtick; San Francisco operates by it’s own set of rules and is individual in every sense of the word. Layered with sophistication and grit, there is a place for everyone and every way in this city. Z and I arrived on a Wednesday and had the impossible task of absorbing as much of San Francisco’s culture as possible in 48 hours. We mapped out a list of ‘must-see’ (Golden Gate Park) and ‘must-eat’ (China Town) priorities and hit the pavement, traversing as many corners of the city as we could on this whirlwind of a trip. Friday morning we would set off for Napa. For now, the city would ensconce us. Upon arrival we checked into The Hotel Des Arts (conveniently located a half block from the entrance to China Town) and set about walking to Swan’s Oyster Depot, a small restaurant that consists of one long bar and serves up some of the very best just-hauled seafood you will find. Patrons have been known to wait for hours for a bar stool to vacate and for the chance to sample the freshly-shucked oysters and piping hot clam chowder. A mist in the air and our early arrival (I recommend getting there as close to 11am as possible) were on our side and we were able to saddle right up to the counter, no wait at all. A dozen oysters, a sashimi plate of the day’s fresh catch and the roe of one fresh sea urchin later and I was in vacation mode, my standard glass of sparkling the perfect accompaniment to the ocean goodness. I am a big believer in small meals when on vacation in a large city, allowing for sampling throughout the day, maintaining a steady buzz of both the local swill and the region’s best food. Our all-seafood brunch left us just short of full and we were more than ready to dig into an oven-fired pizza from Tony’s Pizza Napoletana, an award-winning spot located in North Beach, the Italian heart of San Francisco. The ideal afternoon snack, this pit-stop would carry us into the evening, when we would be dining at Atelier Crenn. Chef Dominique Crenn is French born and helms the small and warm Atelier Crenn restaurant. This was a meal I had been dreaming of for several months. The first female Chef in America to ever be awarded two Michelin Stars, Chef Crenn’s menu is dictated to the diner in the form of poems she has penned, poems that tell us of the season we are experiencing, the coolness of winter as felt perched by the sea. Upon reading the poems my mouth instantly began to water and I felt a calm come over me. As I have been developing recipes and writing about food, I find a similar comfort and release when I write as when I cook. Chef Crenn was speaking to my foodie-heart before I had tasted a single bite of her food. What followed was a dinner experience I will never forget. 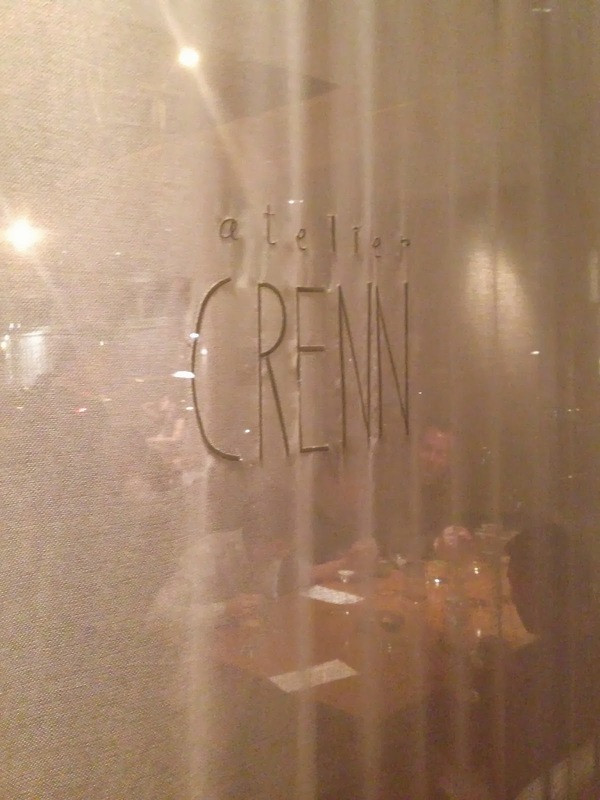 We spent a leisurely three and a half hours at Atelier Crenn, a multitude of courses presented to us, each one at just the right time and just the right size to maintain our curiosity, to ensure that we did not become overly satiated. With the menu presented as a poem we were unaware of how many courses we would be receiving and what, exactly, we would be eating. We simply had to let go, to trust Chef Crenn and her team, and submit ourselves to this experience. No foreshadowing, no expectations. Just simple, culinary bliss. The meal maintained a theme of seafood throughout many of the courses, serrano ham and a paper-thin slice of wagyu carpaccio peeking through here and there as the meal progressed, the dinner coming to a climax with a perfectly cooked guinea hen and then bringing us gently back down and into the welcoming arms of dessert. We had the opportunity to meet Chef Crenn during our visit and she was so kind and unbelievably generous to us. This meal will not be taken for granted. It’s impression on me was indelible and I am so very grateful for the experience. If you’ve read any of our past travel posts (find them all here) then you will know that walking is my and Z’s favorite way to absorb the world. The following morning we set out on foot, winding our way through various pockets of San Francisco for an hour or so, finally finding ourselves at Golden Gate Park. It was somewhat early and the streets remained quiet throughout our stroll, shop keepers greeting us as they swept off their stoops and readied their stores for the day. Now there are many ways to take in the beauty of the Golden Gate Bridge but I challenge you to find one more refreshing than gazing from below, standing in the sand of the beach at it’s base. We relaxed for a bit from our walk and watched dogs dart through the sand, watched the waves crash lightly on the beach. Lunch time was near and we caught a cab back into town. 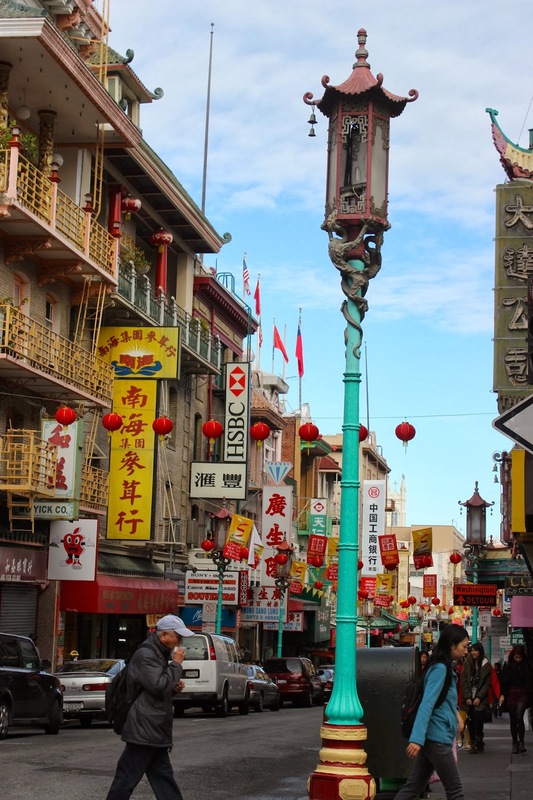 We had somehow missed the opportunity to dine in China Town during our previous visit to the city and had vowed not to make the same mistake twice. We were given several recommendations for go-to dim sum spots and, after much deliberation, settled on lunch at Lai Hong Lounge, located on Powell Street just off of Broadway. It was clear upon arrival that we were the only tourists in the restaurant. All eyes in the large, red dining room turned to look at us as we waited to be seated. My first instinct was to turn around but I knew that this was a very good sign that we were somewhere authentic and that we would be sampling food that was blissfully un-Americanized. Our waiter spoke very little English but wore a large and genuine smile, putting me at ease quickly as he poured us cups of piping hot tea. We ordered dim sum from a large menu, marking our selections with a bit of trepidation as the bulk of the items were unfamiliar to us. Standards were obvious – dumplings both fried and steamed – and fantastic. The fried shrimp dumpling, while incredibly simple, packed a crunchy wonton full of plump and perfectly cooked shrimp. It was a highlight for me along with the stuffed tofu skins. Z became instantly addicted to the steamed pork buns and, since our return, declared them his best bite of the trip. We ordered eight items and our eyes proved to be larger than our stomachs. We left in a pleasant food-coma, strolling leisurely through the streets of China Town, our schedule open and the sky a beautiful blue. We had visited our favorite bookstore, City Lights, the previous day however I had heard of a foodie-centric bookshop that I was anxious to peruse. 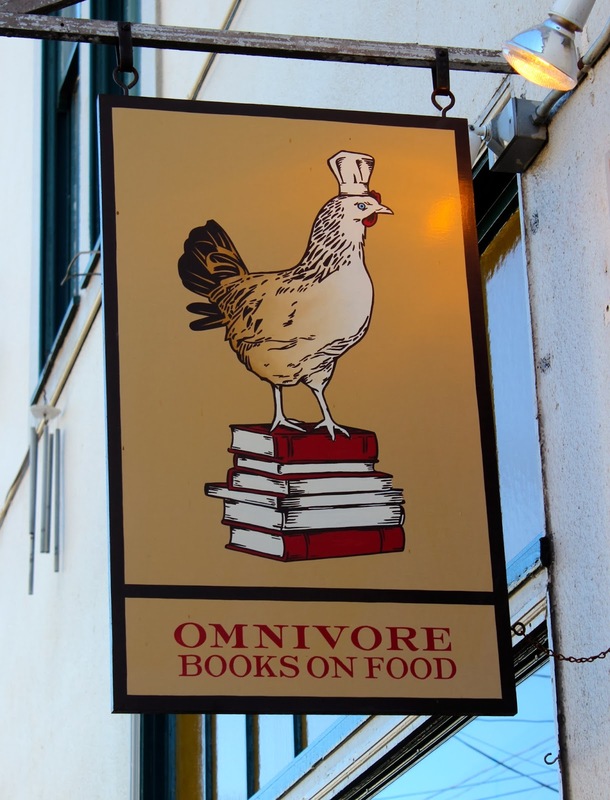 We made our way to the Mission neighborhood where Omnivore Books on Food resides. It feels as if you are on the set of a movie when you enter, the small, neatly arranged store almost too perfect and too quaint to be true. Thankfully it is very real and we took our time scouring the shelves that lined the walls and stretched toward the ceiling, small foot stools available for any books that were out of reach. Intermixed with the current must-have-food-reads and classic tomes such as The Art of French Cooking and The Joy of Cooking, vintage copies of food and beverage related books can be found. Tucked in the nooks and crannies you feel as if you are coming across something hidden, an item that was left behind many years ago by someone who loved the culinary world as much as you. It was a lovely place to spend part of our afternoon. One our way to Omnivore we had passed a large park set against a steep slope and complete with a wonderful view of San Francisco. 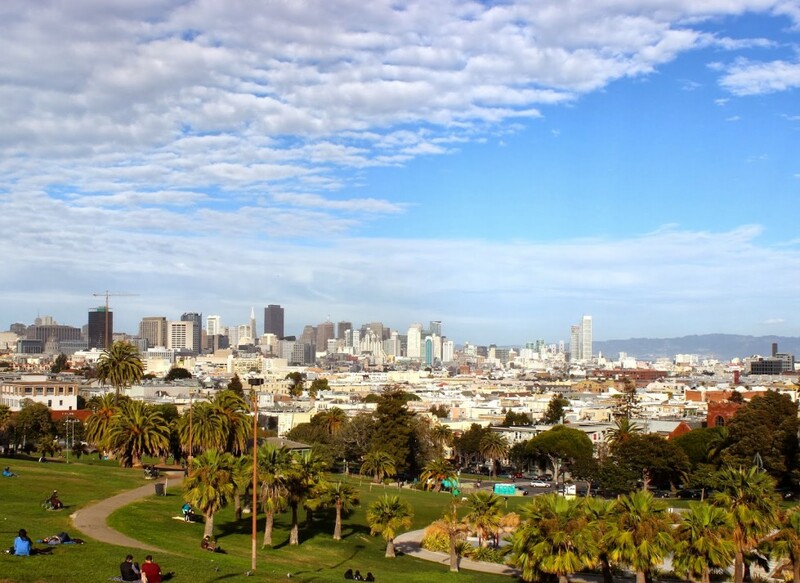 Called Mission Dolores Park, we took our new reads and spent some time in the sun, taking in the view and relaxing, soaking in the wonderfulness of not having to be anywhere, to do anything. Later that evening we would find ourselves wine tasting at The Hidden Vine, a dark and loungy spot in the financial district. Luck would be on our side for dinner and we would manage to score a table at State Bird Provisions, the highly acclaimed mixed-service establishment named 2013’s best new restaurant in America by James Beard. For the moment however all that I sensed was the grass at Dolores Park tickling my arms, the pages of my book shuffling in the breeze. A group of friends several feet away passed around a pet snake, reminding me that I wasn’t just anywhere. I was in San Francisco where the beat of the drum is different. It is a beautiful sound.